The Duracell story begins in the early 1920s with an inventive scientist named Samuel Ruben and an eager manufacturer of tungsten filament wire named Philip Rogers Mallory. Ruben came to the P.R. Mallory Company seeking a piece of equipment he needed for an experiment. But Ruben and Mallory saw an opportunity: Uniting Ruben’s inventive genius with Mallory’s manufacturing muscle. 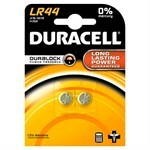 Their partnership, which would last until Mallory's death in 1975, was the bedrock of Duracell International. Samuel Ruben's inventions revolutionized battery technology. During World War II, for instance, Ruben devised the mercury cell, which packed more capacity in less space and was durable enough for the harsh climates of wartime theaters like North Africa and the South Pacific—places where ordinary zinc carbon batteries used in torches, mine detectors, and walkie-talkies couldn't hold up. P.R. Mallory manufactured millions of mercury cells for the war effort. The Mallory Battery Company was formed shortly thereafter. In the 1950s, Samuel Ruben went on to improve the alkaline manganese battery, making it more compact, durable, and longer lasting than anything before it. At about the same time, Eastman Kodak introduced cameras with a built-in flash unit that required more power than zinc carbon cells could provide. The cameras needed alkaline manganese cells but in a new size, the AAA. Mallory made them, and also licensed the technology to others because the company, at that time, had no consumer distribution. It began in 1973, when the Bunny made his debut. 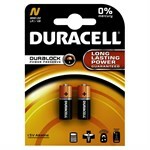 He showed people around the world that Duracell batteries lasted much longer than ordinary and inexpensive zinc carbon batteries. The Bunny, powered by Duracell batteries, was able to outlast all others no matter the challenge, and continues to do so today. For over 33 years, the Bunny has evolved to keep up with the times. 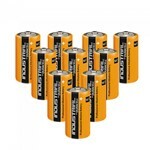 His evolution, however, also runs parallel to the consistent improvements in the quality and power of Duracell batteries and products. 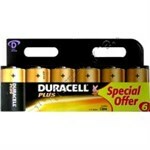 Today, the Duracell Bunny is one of the most widely recognized brand icons across the globe. 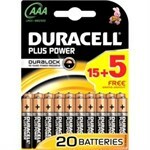 Learn more about the Duracell Bunny here. 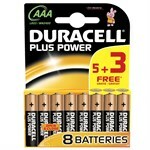 Duracell has been providing battery power around the world for decades, and at the heart of it all has been the Duracell Bunny. Learn more about the world-famous icon: Discover the history of the Duracell Bunny, play Bunny games, download wallpapers and screensavers or watch Duracell commercials on Bunny TV. 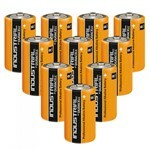 Throughout the decades, Duracell has been delivering portable battery power around the world. And at the heart of it all has been the Duracell Bunny. It began in 1973, when the Bunny made his debut. 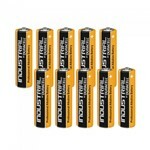 He showed people around the world that Duracell batteries lasted much longer than ordinary and inexpensive zinc carbon batteries. The Bunny, powered by Duracell batteries, was able to outlast all others no matter the challenge, and continues to do so today. The Duracell Bunny has traveled around the world, from Asia and Australia to Columbia and Croatia and plenty of countries in between. The Bunny brings an engaging, lively personality to personal power and, time after time, demonstrates why Duracell’s batteries last so long. Over time, the Bunny has evolved to keep up with the times. His evolution runs parallel to the consistent improvements in the quality and power of Duracell batteries and power products. Today the Duracell Bunny is one of the most widely recognized brand icons in the world, demonstrating why Duracell gives you the winning edge.